Business reviews are more important than advertising. 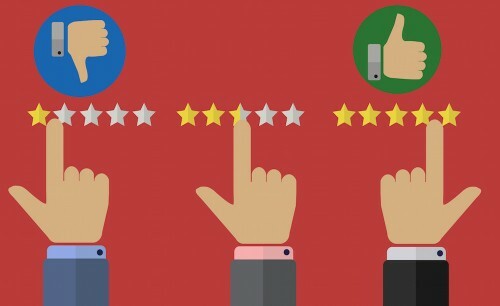 Customer reviews can have a big impact on your business. Opinions about your business are easy to find and buyers are more informed today than ever. Regardless of whether you’re selling a ten-dollar widget or a ten-thousand-dollar service package, buyers read about your product or service before they ever step foot into your business or try your product. This is equally true if you’re a nonprofit or any other organization who wants to attract people to whatever it is that you have to offer. Buyers can browse through reviews and read other’s opinions about your business or organization before you have a chance at a first impression. Decision-makers are armed with smart phones. They can stand at your front door or see your product on a (virtual) shelf and quickly learn what others have to say about it. And even if they don’t have time to read reviews, they can take a quick glance to see how many stars you have compared to other options they’re considering. Good reviews are helpful because they let you know what customers appreciate. Bad reviews are helpful because they help you learn how to improve your business. After reading reviews, buyers approach your business with expectations based on what they’ve already read. Since they’ve chosen your business, it’s likely because all the stars have aligned. You’re positioned at the right time and location when they’re ready to take action. No one likes to be judged. By their very nature, judgments are attacks. Business owners who get bad business reviews can and do get dismayed. And Yelp, no doubt, feels the same about this upcoming Billion Dollar Bully documentary by Prost Films. The best way to look at Yelp and every other review tool is that these are extra doors to your business. Some turn out to be more welcoming than others. Release your grievances toward others and you’ll find that they begin to melt all around you. Amazon reviews can affect your business whether you’re selling through Amazon or not. If your customers are shopping in a brick and mortar store, they can check to see what others think about a product and do a quick price comparison. 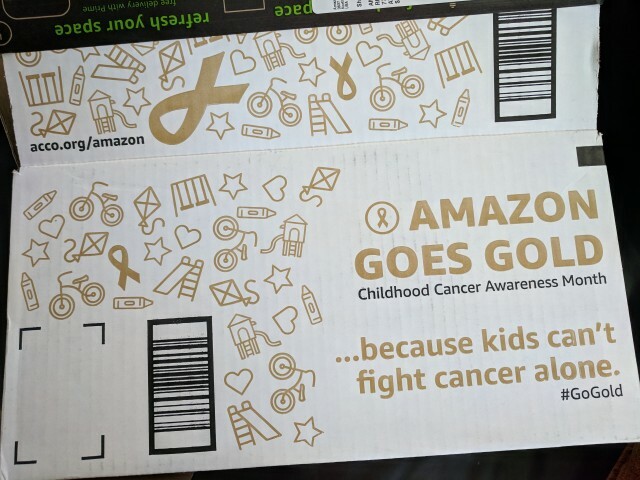 If it’s cheaper on Amazon, they can add it to their cart with a quick click knowing that it will show up at their front door within a day or two. 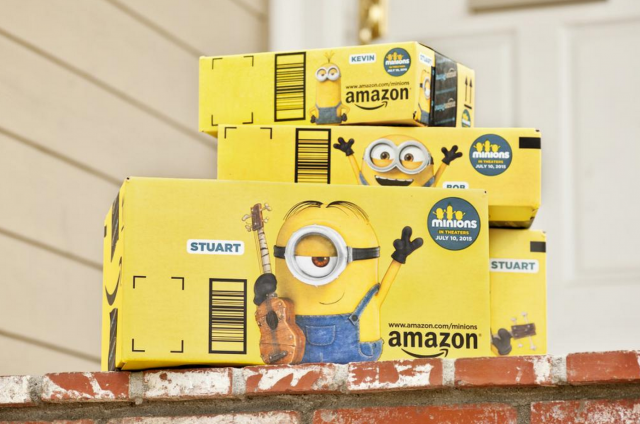 Amazon has had a big impact on both online and brick and mortar stores. If you’re selling products that are also available on Amazon, or if you’re selling through Amazon, these reviews can affect your business. 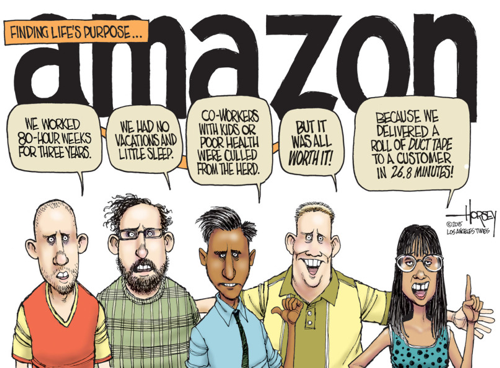 This David Horsey cartoon offers insight into Amazon’s company culture. Behind-the-scenes Glassdoor business reviews can influence the talent you attract and the ultimate results you get in your business. Google reviews and ratings conveniently pop up when you’re searching for places on Google maps. Google maps search along route feature is useful when you’re trying to save time and make convenient stops. Whether you have a brick and mortar location or not, Google encourages you to remind customers to leave a review. 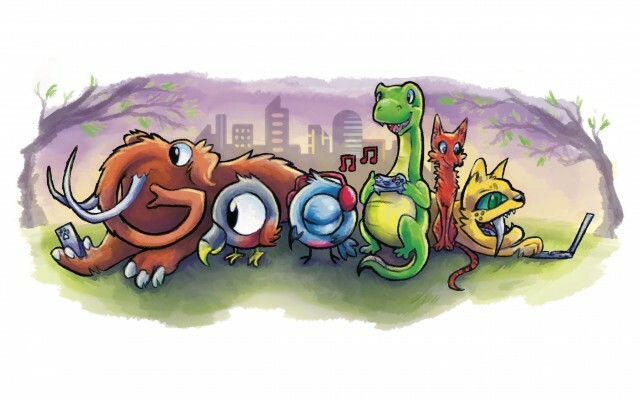 Learn more about how to get reviews on Google. 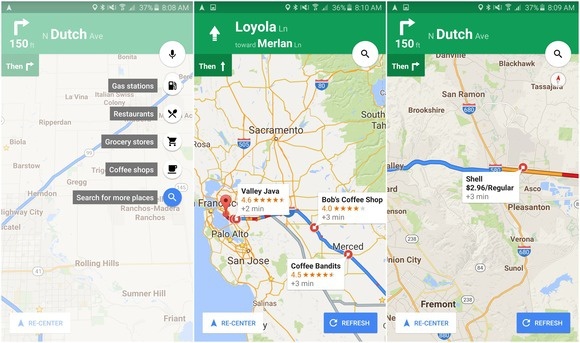 Google Maps lets you search for food, gas, and more along your navigation route. Foursquare brands itself as a “location intelligence company.” It’s also a good contender for finding food, nightlife or shopping business reviews and ratings by location. If your business falls into one of these categories, it’s a good idea to keep an eye on your Foursquare business reviews. Facebook allows you to choose whether or not you want to enable business reviews on your business page. Go to the Facebook Help Center to learn how to allow or disable ratings and reviews on your page. If you go to Facebook’s @facebook page, you’ll see that they, ironically, do not have this feature enabled. If every business review system gave you the option to disable the ratings on your business, you could choose to ignore ratings altogether. But going dark online also makes you invisible to potential customers who use online search tools to guide their buying decisions. Yelp vs Google vs. Facebook Reviews: which should you focus on and why? Bloggers are a terrific resource for business reviews. Bloggers can educate people about your business. They can share reviews that highlight the benefits of your product or service. They can share a customer testimonial telling what it’s like to work with you. You can find bloggers on just about any topic. They can help you come up with creative ways to share your business. Many are willing to barter in exchange for product or service samples, so it’s worth asking. If you’d like to go this route, here are some tips on how to ask bloggers for backlinks and reviews. By the way, if you’d like me to blog about your business, contact me today to discuss the possibilities. YouTube offers a platform for anyone with a smart phone who wants to share their thoughts about a flight, an electronics product, an RV, or anything else on their mind. YouTube is an ideal way to let people get a glimpse into what you have to offer, especially if it already lends itself well to an audience, such as a church or a school, for example where preachers and teachers are already talking to an audience. Although YouTube is driven by videos, anyone can comment on the content. This, in essence, is a form of a business review to a YouTuber. And if you’re part of the video, you can get feedback as well. Instagram tends to be a happy place. It’s a terrific app that allows you and your customers to snap, post and share attractive pictures within a few minutes. If your customers are taking the time to mention you in their Instagram feed, it’s probably positive. Smile and welcome the photos. In addition, Instagram gives you the opportunity set up your business profile on Instagram and self-promote with annotated photos. Be sure to use hashtags to attract your ideal customers. 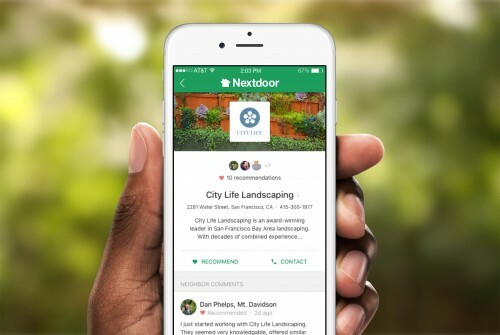 Nextdoor offers a feature for recommendations. If you depend on local work or walk-in traffic, this is a great way to connect with people in your neighborhood. If your business isn’t already listed, you can add a business in recommendations for free. 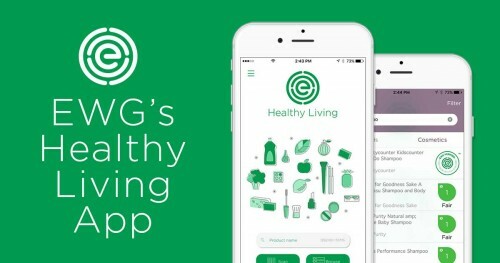 This is a great app to spark face-to-face friendships and goodwill referrals within your community. Once you establish your reputation, satisfied customers will naturally want to share brief reviews along with their referrals. The Better Business Bureau (BBB) touts itself as a tool to help “people find and recommend businesses, brands and charities they can trust.” In practice, however, the BBB tends to be the go-to place where customers log serious complaints against a business because they know this is a place where the business owners might actually take action to resolve a complaint. Click here for an overview of how BBB ratings are calculated. A BBB rating is not an indicator of the success of a business. Amazon, for example, is one of the biggest businesses in the United States. Although the majority of its customer reviews are negative, Amazon maintains an A+ rating with the BBB. Make it a high priority to be responsive to complaints not only on the BBB, but anyplace else where they might pop up. Quora defines itself as “a place to share knowledge and better understand the world.” It’s a great place to engage with chatty intellects who are willing to answer questions posed by its users. Buyers don’t necessarily go directly to Quora for business reviews, but if you offer a complex product or service that costs a few hundred dollars or more, you might want to take a serious look at Quora. Chances are, people are talking about it. Some brands are so prominent that all their questions are grouped together. If you’re an Evernote user, and I highly recommend it by the way, check out some of the Evernote Q&As posed on Quora. Uber, Airbnb, OfferUp, OpenTable and more companies are not only giving customers a chance to rate the service provider, but also giving the service provider a chance to rate their customers. When both parties know they’re evaluating each other, it tends to result in a more cordial interaction. And this is reflected the exchange of reviews and ratings. 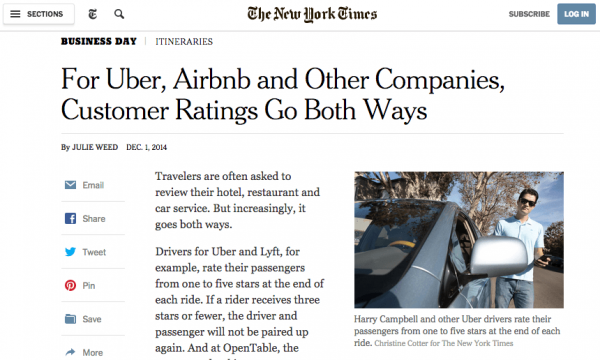 If it makes sense for your business model to offer mutual ratings, consider adding the option. Angie’s List is a membership site that “eliminates anonymous reviews giving you trusted, more credible info to make the right choice.” If you’re a contractor, for example, and finding high quality customers is important to you, Angie’s List might be a good fit for you. Be prepared to go through through their background check. If you’re interested in listing your business, check out Angie’s List Business Center to learn more. Consumer Affairs provides “expert resources and verified reviews” to help customers make smarter buying decisions. Their philosophy is that “everyone deserves to make smart decisions based on unbiased feedback and research-driven information.” They encourage visitors to write business reviews about their experiences with their member brands. Check out their Brands platform to see if it might be right for your business. If your business depends on your reputation as an expert, consider writing a book. Goodreads is a terrific place for you as a leader to share your bookshelves and review books. Between Goodreads and Amazon, indie authors have an opportunity for their books to rise to the a bestseller and they have the opportunity to compete with all the big name publishers. 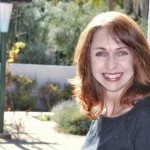 Goodreads is a terrific tool for authors and their readers. And it’s also a great place to find, read and review books in your industry. To make the most of your reviews, follow Goodreads Review Guidelines. Twitter’s mission is “to give everyone the power to create and share ideas and information instantly, without barriers.” This means that you can share information about your business while tagging anyone you want. And it means that others can do the same to you. For better or worse, others can also create fan clubs such as Trader Joe’s List or protest groups such as InequalityAtWlmt. Twitter is not a main contender when it comes to business reviews, but depending on the type of business you operate, you might want to keep it on your watch list. Nearly every business can benefit by having a website. It’s the one place online where you can define your brand and the intent of what you have to offer. It’s a great place to highlight a variety of customer testimonials that give insight into the benefits of what you have to offer. If you have a content rich and attractive website, buyers are more likely to check it out to see what you have to offer. This is the one place where you have complete control of your customer testimonials. Your best line of defense is to treat all your customers and employees with love and respect. Encourage everyone in your business to read and discuss books that help to develop their people skills such as: How to Win Friends and Influence People. If you need a writer to help with responses to your business reviews, or assist with content marketing on your website, let me know. I’d love to help. Contact me today. Dr. Lorraine Haataia has expertise in several industries including education, construction and transportation. She believes that our thoughts create our reality. She’s passionate about writing because it gives readers the opportunity to learn on demand, expand their minds, and benefit by seeing the world in a new way. “One of the primary purposes of a content marketing strategy is to influence your ideal customer to make a decision to buy. One of the strongest influences is: ‘what do other people like me think about this product or service?’ One of the most powerful examples is a customer testimonial. Another classic example is an endorsement from a famous person. 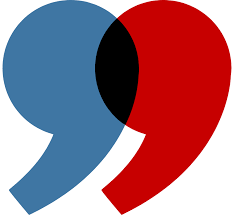 This content you’re producing is to encourage them to buy,” Bob Haataia said. In your content marketing strategy you should have goals so you know why you’re doing what you’re doing, whether it’s increase your sales by 10% in three months, or doubling your business in eighteen months. It’s important to know why you’re trying to get your message out. “With content marketing you have to think in terms of getting traffic over time. You have to think more about the long term. You can pay for Google Ads to boost traffic, but you have to continue to pay over the long term to keep traffic coming. With content marketing, the traffic builds over time, and is sustained long-term because of the content. 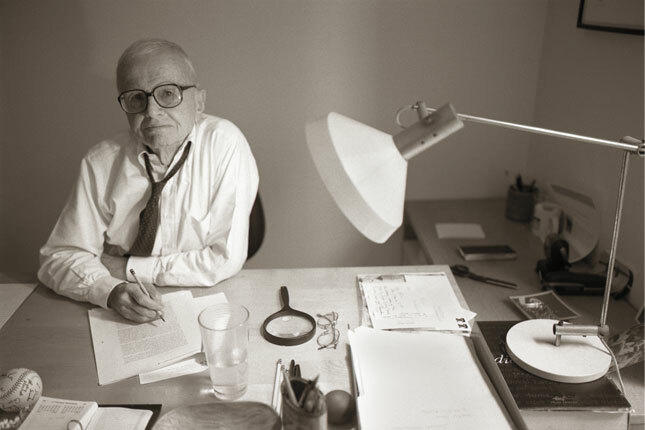 It’s the classic example of deciding whether you want a million dollars now, or a penny in an account that doubles every day?” Bob said. A penny doubled every day produces more than $5 million dollars in 30 days. It’s important to have SMART goals is so you can find out what’s working and what isn’t. For example, if you start out with a six-month marketing campaign with a number of activities, you’ll be able to track those activities that bring you closer to your goals. It’s important that your goals are business results, not activities. 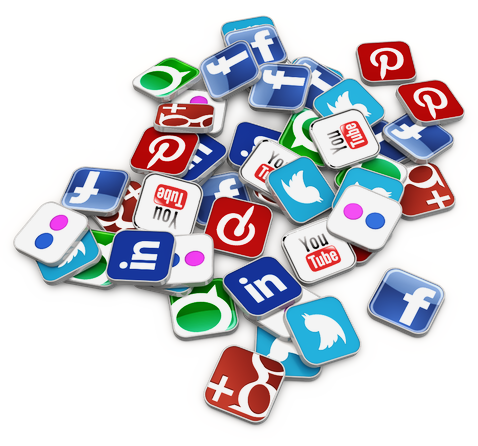 A business result is a 15% increase in your traffic, versus an activity such as Tweeting daily. “In the beginning, you may not know if your goals are realistic or not. Even if you don’t achieve your goals, by having SMART content marketing goals and tracking your progress over time, this will help you set better goals in the future,” Bob said. Why is it important to know your customers? The more you know and understand them, the better your content is going to meet their needs. By knowing your customers, you can provide information at every step of the buyer’s journey. Customer education is a key ingredient to drive sales. “Whether you’re a consumer business, or B2B, you want to know who buys your product or service. For example with a hair salon, you might get a lot of everyday consumers who are in a particular age range. By understanding this, you can start targeting your message and services to this age,” Bob said. It can be very helpful to document this. You can do this through personas. 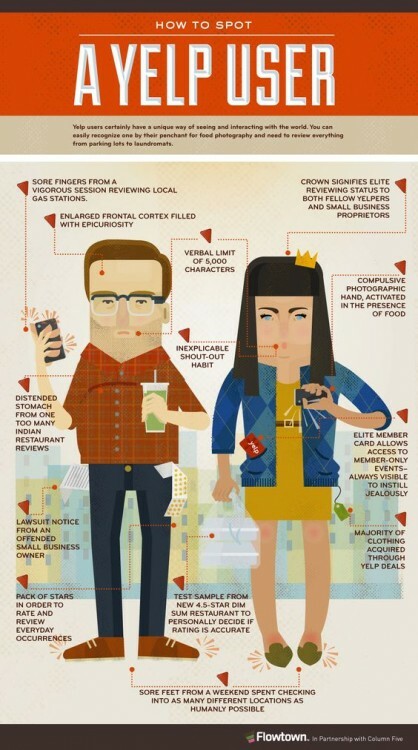 These are generalized representations of ideal customers you’re trying to bring in. Large marketing organizations, such as Yelp, create customer personas to better target their messages and build better products or services. They describe what a typical customer does for a living. They often even describe their hobbies. What do they like and what do they do in their spare time? Part of your product or service is making their life easier. What’s included in the product or service? These are deeper rooted questions than ‘what is your location’ or ‘what services do you have?’ As you look at all your service offerings, you can decide where you want to focus more of your attention. It’s important to know if the services you provide are meeting the needs of your customers. You can go one step further and look at the competition. How does your ideal customer see you compared to the competition? How is your product better? When you know your customer, you look at your competition in a different light. You need to know your strengths to ensure your key messages stand out. “This is how you develop your content marketing strategy to ensure your content is centered around answering the questions your customers have. In the beginning, these are questions they don’t even know they have. They may not know they need a product or service because they’re not even aware it exists. Your content needs to expose the problem so they can recognize how they might benefit,” Bob said. By better understanding your customers, you’ll be better able to answer their questions before they even ask them. In your content marketing strategy you’re going to have core messages to address customer questions along the buying journey. You want to limit your content to some key themes. In these core messages, you build your brand and stand out among your competitors. “In content marketing you can answer all your customer questions. Ideally, over time, your website will answer every question a customer might have. Once a person discovers you through social media or advertising, they can look deeper into your website to find answers to their questions. This can save a small business many hours of answering the same questions over and over,” Bob said. How do you take a shower in such a small space? What will solar power do for me? Can I get internet everywhere? Do the front seats swivel? “Everybody likes to hear a story. This is another advantage of content marketing. I recently read an article about a couple living 100% in their conversion van. It was fun to read their story. I learned about some of the challenges of living in a tiny space, but I also learned about the exhilaration of parking near the ocean and hearing the waves. They talked about going to a campground and having dinner outside in a Redwood forest. 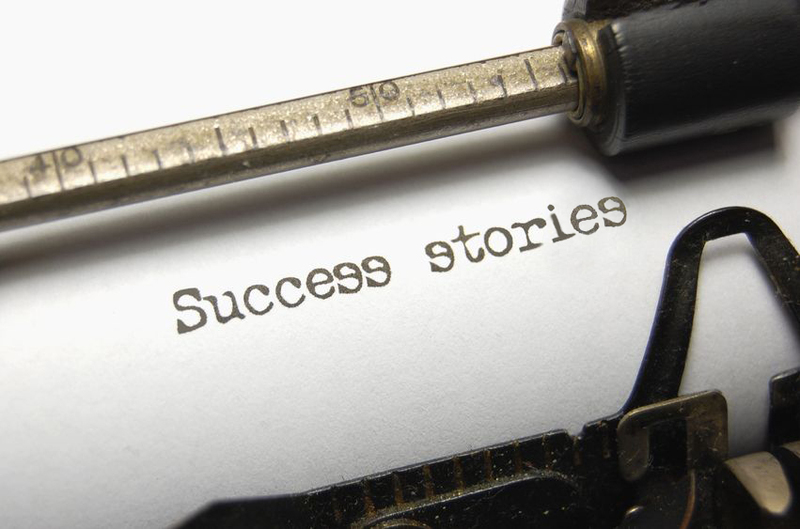 A customer story is a great way to capture your customer’s attention. A content market expert knows how to tell stories to promote your product or service,” Bob said. “Telling stories captures people’s imagination. In reading the article about living in a conversion van, I learned that there are many people who live full-time in a conversion van. I also learned about boondocking. I didn’t even know what it was, but now I’m interested,” Bob said. “The questions in the early buying stage are different than later on. In the beginning I may be looking at floor plans. And later I might be looking for answers on how to fix my propane tank. So the content you put out is not only what a person might ask before they buy, but also what they ask after they buy. Through the process you become a trusted partner,” Bob said. “Start off with recognizing the vast number of channels where you can place content on the internet to be found. It’s virtually impossible to get the information everywhere, so you have to make good decisions about where you’re going to expose your information,” Bob said. “As a small business, your content marketing strategy should reflect the actions it will take to increase your sales. Maybe you need advertising, or a new social media channel depending on the product and competition. Maybe you need to place an article in a magazine. Maybe you need to start a YouTube channel. Maybe you need a Facebook page, or maybe you need a SnapChat channel. A lot of younger consumers are moving to SnapChat. A lot of people in India use WhatsApp. In a small business like Restoration Illumination, I imagine that most of her customers are on Pinterest,” Bob said. For a small business owner, it can be effective to work with a content marketing specialist to develop your content marketing strategy because all of this can be time-consuming and overwhelming. “A few years back when I was division governor in Toastmasters, I did some analysis on Facebook. Roughly half of the people in Northern Florida were on Facebook. What other medium can you use to get to nearly half of your target population? After that, the district governor created a social media chair and I helped to develop the strategy,” Bob said. “All of the technology we’ve talked about here is essentially free. There’s not a huge investment that’s required. One of the most important reasons to have your own website is that you can measure your results much better. You can still post your information out on these social media channels, but with your own website, you can track the results of your efforts. It’s vital to have a website that’s driven by a content management system, such as WordPress or HubSpot,” Bob said. As a small business you have limited time. You can look at your analytics on Twitter and Facebook and a lot of other places, but with your own website, you can get all the information you need in one place. Google Analytics is good enough for most small businesses. 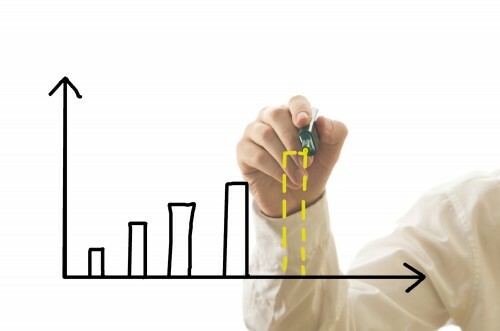 How are you going to measure results? “The reason it’s important to have measures in place is to know which activities are hitting your target market. If you see lots of traffic coming from another potential market, you might want to up your investment into that new market. This is one of the reasons why you need to do content marketing for several months. There may be another need you can meet. If you publish services that are coming soon, and you see lots of hits in that area, you might want to fill that need sooner,” Bob said. “You want your activity to translate into purchases. By measuring results in these areas, you can find out who is being educated appropriately and decides to purchase. By measuring all this, it helps you to decide what content to publish,” Bob said. Paying attention to page analytics can be helpful. By looking at Google Analytics, you can see whether your information is coming from Google, Facebook, Instagram, or Pinterest for example. And you can adjust your efforts to get better results. How are you going to improve your content marketing strategy? “Content marketing is not a silver bullet. You can’t write one article and expect all your traffic to come. The way Google search engines work is that it takes a consistently updated website to get it to the top where it can be discovered. Having this as a long-term strategy and finding out what really resonates with your customers will help you target content that translates into sales. 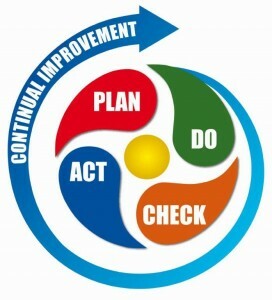 It’s important to have a continuous improvement plan in place for all your marketing activities,” Bob said. Not everything you do will always work, but knowing what works better allows you to focus your messages and continuously improve. “Let’s say you have a menu of services and one or two of your pages is getting more hits, but you aren’t getting a lot of sales in that area. By paying attention to these numbers, you might be able to make small changes to convert these into sales,” Bob said. When you have a lot of different services, you may have one that is yet to be discovered. One of the benefits of having a content marketing strategy over a six month period is that it allows you to potentially tap into new markets you weren’t aware of. When you try something like Groupon, and it doesn’t work, this becomes part of your living document. As important as it is to track what you’re doing right, it’s equally important to track what isn’t working. This is why it helps to have a six-month campaign. After your first six months, your strategy is going to be so much better than it was in the beginning. “When I was at IBM, we decided to do a Google AdWords campaign with a $10,000 budget. I got the team together and brainstormed all the keywords. After doing this, we discovered our web traffic didn’t increase at all. We spent $10,000 to find out that Google AdWords didn’t work in driving up traffic to the IBM support website. Even though Google AdWords didn’t work, we were able to increase traffic by two million hits over twelve months by understanding other activities that were working and doing more of it,” Bob said. By answering these questions, documenting your content marketing strategy, and taking action, you will see an increase in your sales. This will also provide sustained traffic to your website over the long term which will make introducing new products or services that much easier. Bob Haataia is a senior product leader with success in delivering complex solutions to achieve significant revenue. He solves today’s business problems with technology and the latest Agile development methodologies. 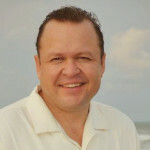 He focuses on increasing global sales and services, lowering support costs, and delivering premier product experiences. He provides complete product management from inception to end of life. He believes that a content marketing strategy is essential for driving sales.